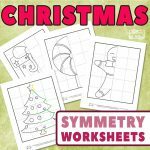 Searching for some fun coloring material to keep the little hands busy during the holidays? 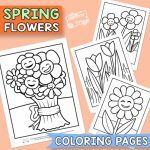 These Easter Coloring Pages for Kids are great fun for your young ones. Kids will love these free printables. Print them and let them show off their Easter creations. The pages feature large coloring areas with bold lines so that kids can stay within the lines. They also include easy to trace words underneath, so they can work on writing the word as well. Let them have fun coloring while also learning to write. 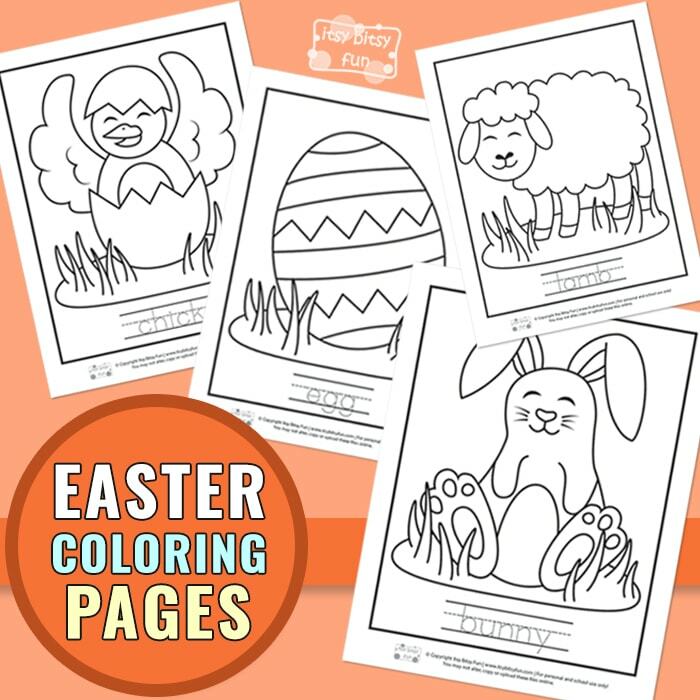 This Easter coloring pages pack includes several pictures related to the Easter holiday. 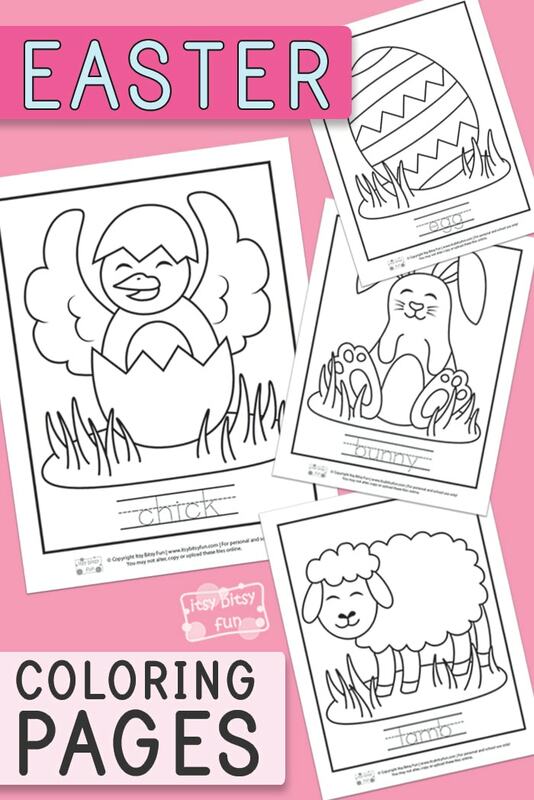 A chick, a bunny, a lamb, and an egg are available for kids to choose from, or they may want to color them all. Teachers, parents or anyone can print and use them once or use them several times by laminating them. 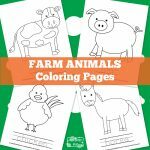 After laminating these fun coloring pages, kids can use dry erase markers to color them. When they finish, wipe them clean and use them again. You can also use protector pouches for the purpose or turn these coloring pages into a matching game. Let them color the pictures and trace the words, and then cut the words off and let the kids match the words to the pictures. The fun never ends with these coloring pages. 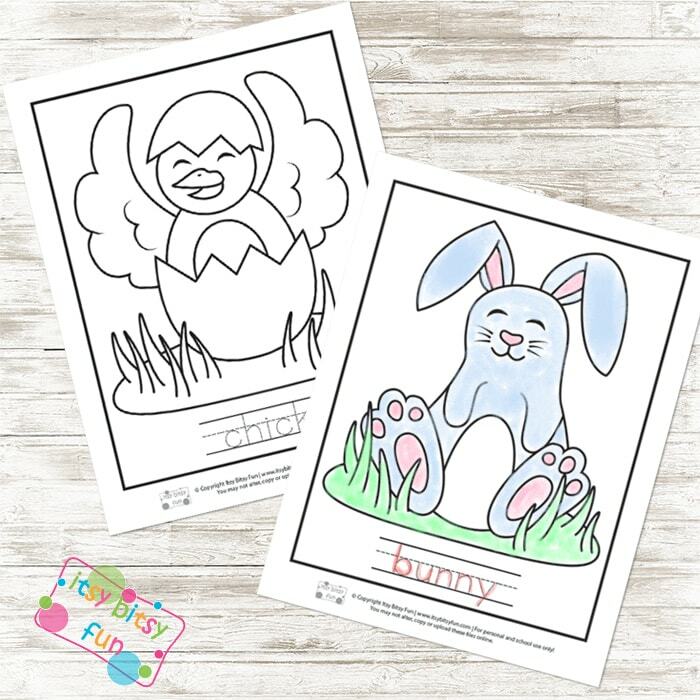 Easter coloring pages for kids are a great addition to any Easter basket too. With a few staples or a pronged folder, you can make a little Easter coloring packet in a couple of minutes. 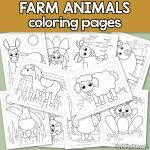 This coloring pack can entertain kids for hours while creating memories that will last forever. Print these coloring pages now and let the fun begin. Remember to come back and check our site for all our other fun printables. We are always busy creating new ones. Print these free Easter Coloring Pages here. 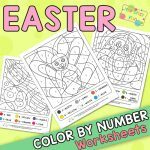 Enjoy playing with our free pack of Easter Printable Puzzles, and print out the free Easter Number Tracing Worksheets.